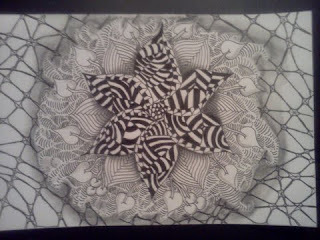 This is a ZIA (Zentangle® Inspired Artwork) that I began before my CZT Class. 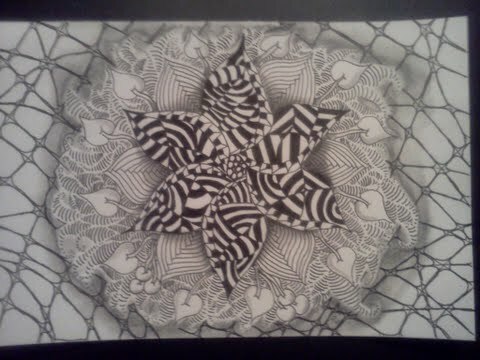 I found it in my scratch pad and decided to finish it with a number of my favorite tangles. I am very happy with the way the layering worked out. I also like the effect that cubine plays on the edge of the petals. This is one of the strange situations where the photo looks better then the real thing. I love the real paper tangle, but in the photo the layers stand out more than in person. I'll add another shot or two of this tangle soon.